Bodybuilders eat, sleep, and breathe bodybuilding 24 hours per day, and 365 days per year. Bodybuilding is incredibly tough, there’s no denying that, but if done correctly, it can be one of the most rewarding and enjoyable experiences of your entire life. Here’s a beginner’s guide designed to help you begin the journey into your bodybuilding lifestyle. Many people believe the toughest part about bodybuilding is probably going to be the training, when in reality, training is arguably one of the easiest parts. If you want to build muscle, you are going to have to exercise and lift weights, there’s no denying that. Which program should you follow? The great thing about bodybuilding is the fact that it is very difficult for your training to get stale, because there are so many different routines and training programs to follow! A very popular bodybuilding program to follow is a basic 5-day split, in which you train 5 days per week, training one body part on each day that you train. For those of you who are struggling for time, a full-body routine is ideal, as this routine will allow you to train all major muscle groups during each workout. There are GVT (German Volume Training) routines, there is pyramid training, there is Dante Trudel’s Dog Crapp training (yes, it really is called that), there are push/pull routines, and much more besides. As a beginner, a full-body routine 3 – 4 times per week would be a great place to begin. In reality, that really depends on which training program you are following. If for example, you are following a 5-day split, you should lift weights for, yep, you guessed it, 5 days per week. However, if you are following a full-body routine, ideally you should train 3 – 4 times per week. ✓ Basically, you need to ensure that each body part gets trained at least once per week, although the frequency of your training sessions will be determined via the routine you choose to follow. When training, it’s important to know that you will hit a plateau at some point. It could be a mental plateau, or it could be physical. Whether you can’t get motivated to train, or you can’t seem to make any progress in the gym, the thing to remember is that plateaus can be overcome. ✓ When you hit a metaphorical wall during training, you should mix things up and try something new. That means you should do different exercises, lift different weights, aim for different rep ranges, follow different training routines, and so on. This not only helps to keep things fresh and enjoyable, it also provides a great way of shocking the muscles into new growth, leading to increased rates of muscle hypertrophy. Should you have rest days? Definitely! As a beginner, you may be keen to spend as many hours in the gym as human possible, but if you’re serious bulking up and building the physique of a Greek God, you must make sure you are getting enough rest. We don’t build muscle in the gym, we actually do the opposite, as we are destroying muscle tissue when we lift weights. We grow when we rest, as that is when our muscles recover. ✓ Because of this, you need to ensure you have at least two full days off from training per week, plus you must make sure that you are getting plenty of sleep each night. If you’re serious about becoming a bodybuilder, your diet and nutrition has to be on point! Bodybuilders need a lot of protein, as protein is vital for muscle growth and repair. Without protein, we cannot build or repair our muscles, which would be a huge problem for a wannabe bodybuilder. The general rule of thumb is that you should aim for around 1.5g of protein, for every pound that you weigh. So, if you weighed 200 pounds, you would need 300g of protein per day. ✓ Each meal should consist of a protein source, and you should aim for around 25 – 40g of protein per serving. Get the majority of your proteins from clean whole food sources, and include protein supplements to help give you that edge. Supplements, alongside a well-rounded diet would help significantly on your journey to living a bodybuilding lifestyle. Remember: You will really benefit from supplementation if your diet and training are both on track. Squeezes in a ton of vitamins and minerals for general body and immune system functioning. Helps to increasing your body’s ability to use its own fat stores as energy, amongst other benefits. 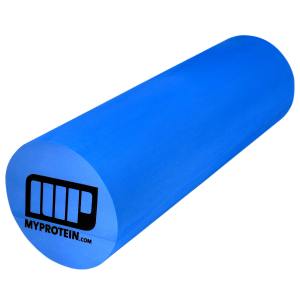 Helps those looking to get bigger, stronger and perform better. 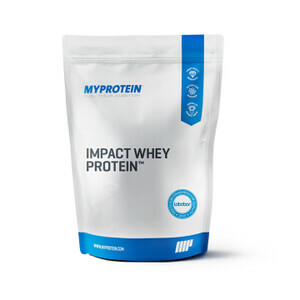 Convenient protein powder to supplement muscle building. 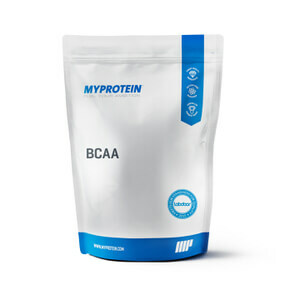 Branched Chain Amino Acids, perfect for muscle repair, leading to more muscle growth. ✓ Casein protein – protein powder suitable before bed for overnight muscle recovery. How often should you eat & what? Ideally you will need to ensure that you are eating every 3 hours or so, as that is how you will keep your metabolism firing on all cylinders, plus it is how you are going to feed your muscles and keep yourself in a constant anabolic (muscle-building) state. ✓ You should aim to eat small and balanced meals every 3 hours or so, although you can include 1 or 2 protein shakes as a meal, as they are great ways of helping you to hit your daily macros. As a beginner, don’t get too fancy with your diet, so stick with a clean protein source, a complex carbohydrate source, healthy fats, and a serving of fresh veggies with each meal, to help provide you with added nutrients. Will missing meals/ having cheat meals ruin your gains? No, and no. A lot of bodybuilders drive themselves crazy with their diets, as they obsess over eating every three hours on the dot, and avoid unhealthy junk foods at all costs. Whilst meal-timing and frequency is important, if you do miss a meal, you aren’t suddenly going to shrink down and lose all of your gains, just like you aren’t suddenly going to gain 20 pounds of fat if you eat a large stuffed crust double cheese pizza for your dinner. We all have slip-ups from time to time, but if you do miss a meal, or if you are desperately craving a cheat meal, don’t sweat it, just make sure you get right back on track the next day. ✓ Besides which, if you do miss a meal, a protein bar or shake, will still help to minimise the damage – hence the convenience of them! If you’re considering stepping up your training and want to live the bodybuilding lifestyle, take some of the above notes and continue further research on different types of training styles and all things nutrition – here on The Zone!